Betty Frances (Scott) Grantonic of Steubenville, formerly of Mingo Jct., died on February 9, 2019 at Valley Hospice. She went peacefully, enveloped in love and prayer. She was 92 years old. She was born on August 11, 1926 in Detroit, MI, to Annabelle (Robertson) Scott and Thomas William Scott. The family relocated to Mingo Jct. when Betty was about four. She was preceded in death by her one true love and husband of 70 years, Jon T. Grantonic, as well as her dear brother, Leo Scott, and sister, Eileen Villers. She is survived by her beloved sister, Joann Trotter of Norfolk, VA, as well as sons Thomas (Margaret) Grantonic of Fayetteville, NC, Charles (Susan) Grantonic of Steubenville, daughters Paula (Ronald) Baldwin of Beaverton, OR, Elizabeth/Buffy (Samuel) Ferrara of Pittsburgh, Amy (Steven) Ratner of Southborough, MA, and honorary son, Shigeru (Setsuko) Numata of Yokahama-Shi, Japan. She also leaves behind grandchildren Annie Baldwin, Ben (Megan) Grantonic, Maggie Chapman, Tim (Kristy) Grantonic, Adam (Amanda) Ferarra, Anna (Paul) Norment, Luke Ferrara, Max and Jonny Ratner, honorary granddaughters Sayoko and Misako Numata, and great-grandchildren Matthew, Mason, Claire, Anna Kate, Sam, Oliver, Finn, James, Drew, Stephen, Jane, Bodhi and Layla (coming this month). Since losing Jon in September 2017, and prior to her brief hospitalization, Betty was lovingly cared for by her son Charlie, daughter Buffy, and by her granddaughter Annie, who moved from Portland, Oregon to Steubenville so that her Grandma wouldn’t be at home alone. Annie’s presence and dedication have been a gift beyond measure. 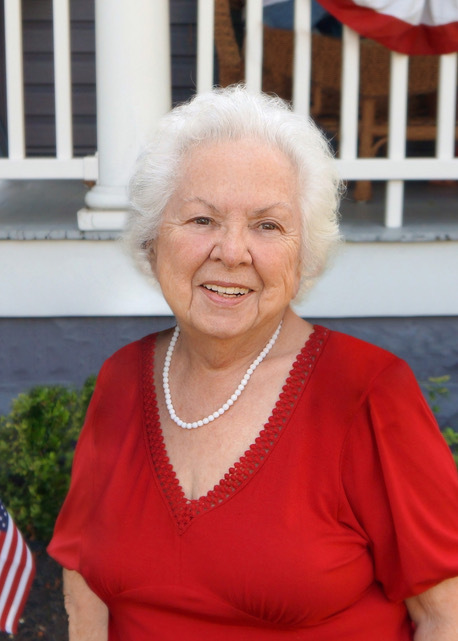 A graduate of Saint Agnes School, and Thompson Business School, Betty moved to Washington DC during WWII to work as an assistant to the secretary of Nelson Rockefeller in the Office for Inter-American Affairs. After the war, she worked at CIO 1190 in Weirton, WV. She met Jon (who had returned from service in the Army Air Corps) at a Catholic Youth Club function, and they married at Saint Agnes Church in Mingo Jct. on October 15, 1947. They continued to worship and serve faithfully in many roles at Saint Agnes for the next six decades. Betty was an artist at heart. She made everything she touched more beautiful. An accomplished seamstress, she made most of the clothes for her own petite frame starting at a young age. Over the years, she created and altered thousands of garments for her family, friends, neighbors, church and community. She later worked in the Bridal & Alterations department at Carlisle’s in the Fort Steuben Mall. She became an avid quilter, and again, shared her talents with those she loved, constantly gifting her beautiful keepsakes. When she wasn’t sewing, quilting, painting, interior designing, gardening or crafting…she was mixing up magic in the kitchen. And, oh how Betty could cook. Her every-day meals, special occasion celebrations, holiday gatherings, luncheons, and dinner parties were not only beautifully prepared and delicious, they created an atmosphere in which love, laughter, friendship, and family flourished. She loved daisies and babies, flea markets and fabric, reading, traveling, music, classic films, her family…and without fail, she loved Jon. Now, they are together again for all eternity. Calling hours will be Friday, February 15th from 4-8pm, with a vigil set for 7:45pm, at the Mosti Funeral Home, Sunset Chapel, 4435 Sunset Blvd., Steubenville. A Funeral liturgy with Mass will be celebrated Saturday, February 16th at 10am at St. Agnes Catholic Church in Mingo Jct. Entombment will be at Mt. Calvary Cemetery, Steubenville. Memorial contributions may be made to St. Agnes Church, 204 St. Clair Ave., Mingo Jct., OH 43938 or Memorial Fun- CCHS 320 Westview Ave., Steubenville, OH 43952 (steubenvillecatholicschools.org./giving).